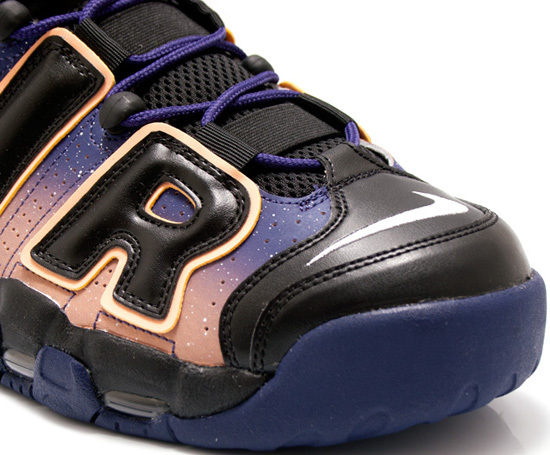 Recently released as a House of Hoops exclusive, the "Dawn To Dusk" Nike Air More Uptempo is starting to pop up online. Click here to grab a pair on eBay. 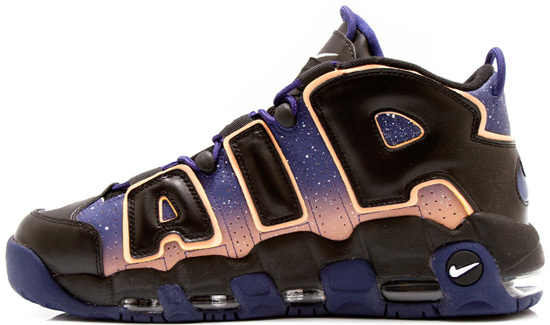 This is the first and only Nike Air More Uptempo set to release in 2012. 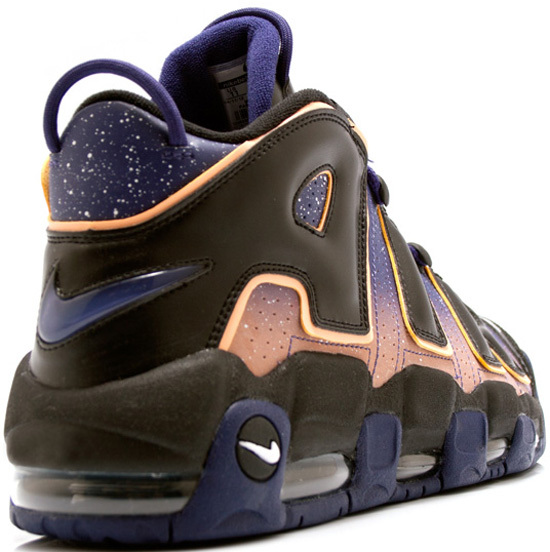 Featuring a unique design on the upper with a night blue color fading into orange with a stars. A black toe area and "AIR" written on the sides. 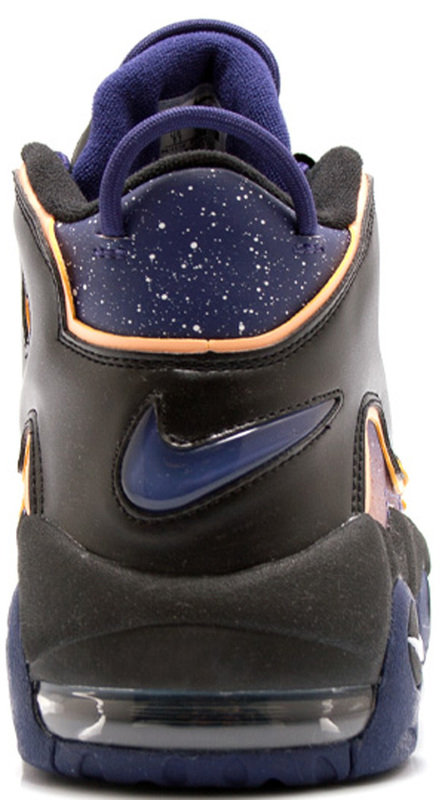 Also included in this HOH exclusive pack is a Nike Air Force 180 which represents the "Dawn" part of the pack as these Air More Uptempo's represent the "Dusk" part. Check out the detailed images below. 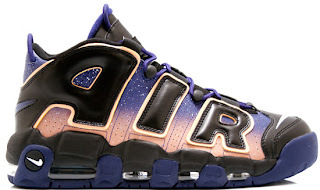 If you do not have a House of Hoops close to you or they're already sold out, click here to grab them on eBay.